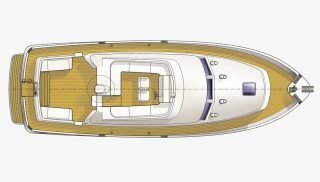 Described by Motor Boat & Yachting magazine as ‘the serious cruiser’s choice’, and arguably the class leader of her size and type, the Hardy 42 is an exceptional motor yacht, blending elegant looks with systems engineering built to exacting standards. 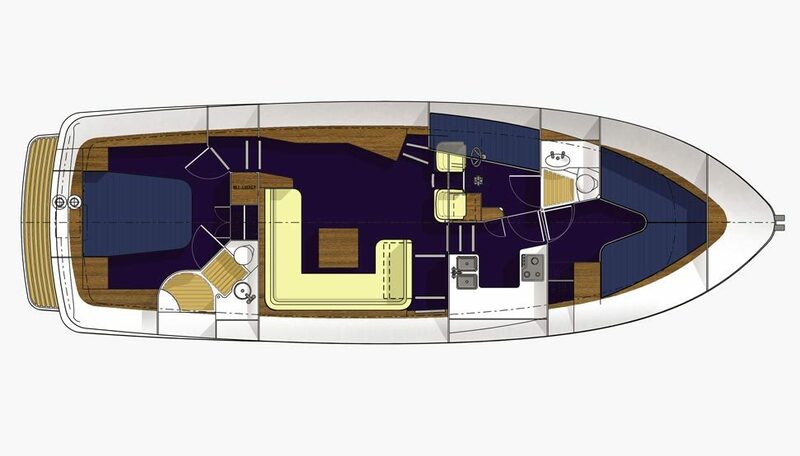 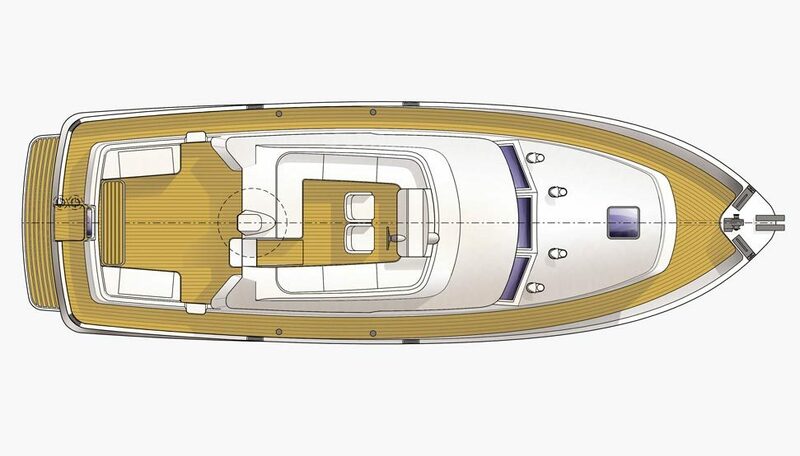 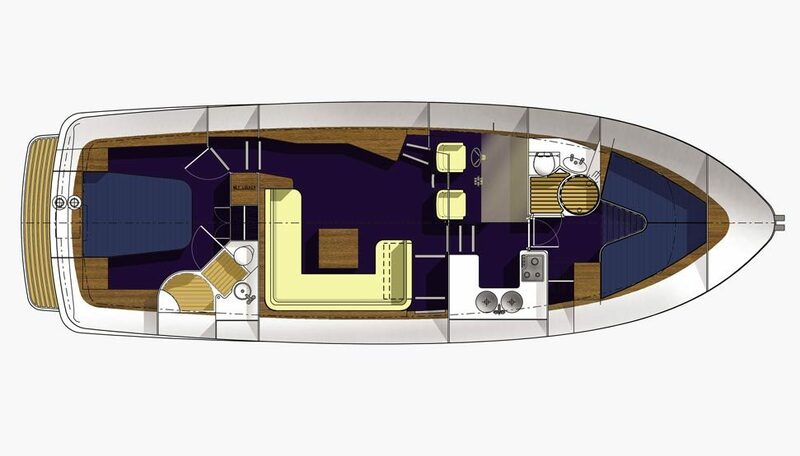 The Andrew Wolstenholme hull design is capable of more than 25 knots with truly exceptional sea-keeping ability, allowing the crew to enjoy a remarkably smooth ride and maintain high cruising speeds even in adverse weather conditions. A range of engine installations are available depending on the owner’s cruising and performance requirements and even with 2 x 450hp working hard, noise levels in the saloon are exceptionally low. 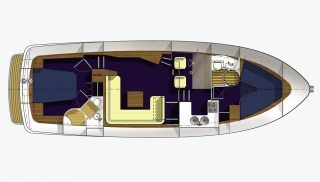 The well-appointed and spacious accommodation includes a generously-proportioned flybridge and large aft coachroof giving plenty of outdoor living space, with wide, safe walk-around decks that can conform to MCA Workboat Code if required. 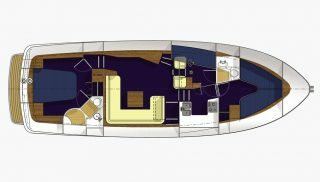 Doors port and starboard give access to the wheelhouse/saloon area, and a very comfortable en-suite owner’s stateroom is located aft. 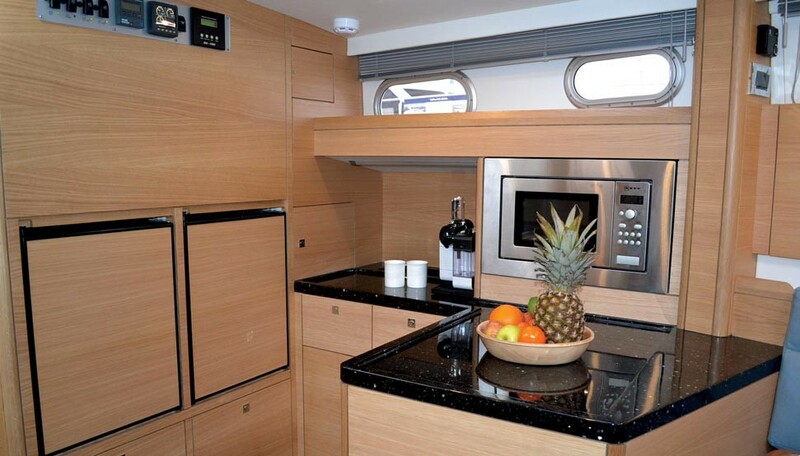 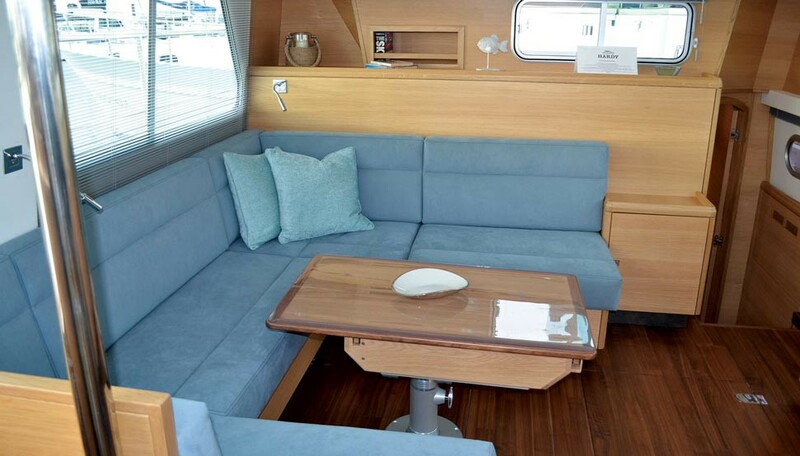 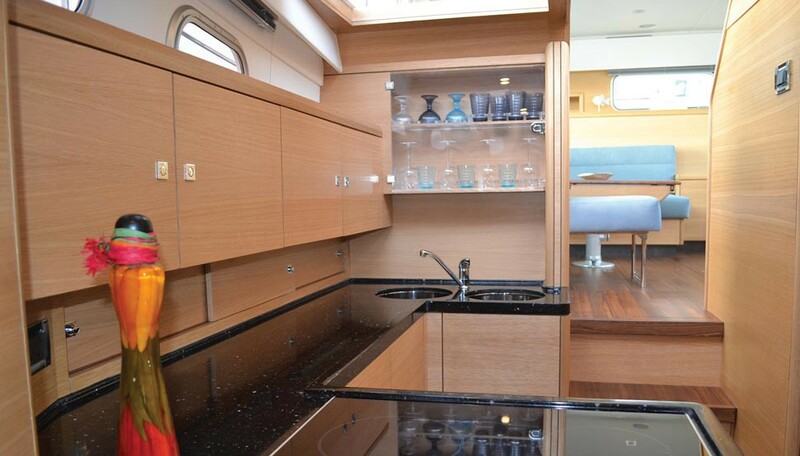 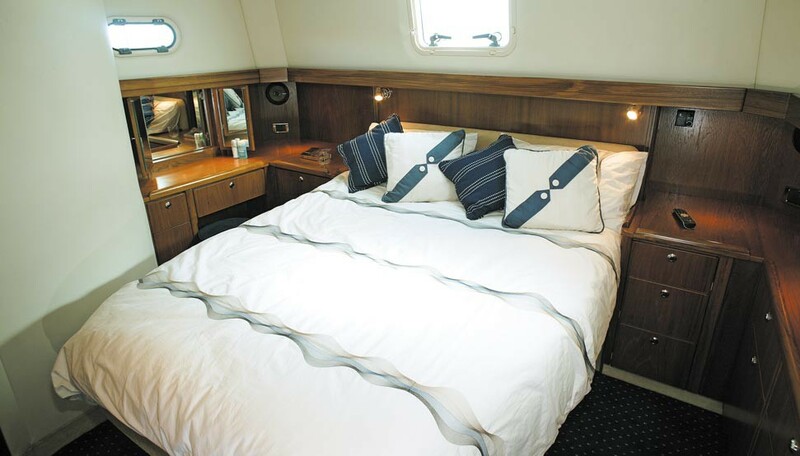 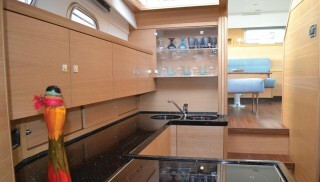 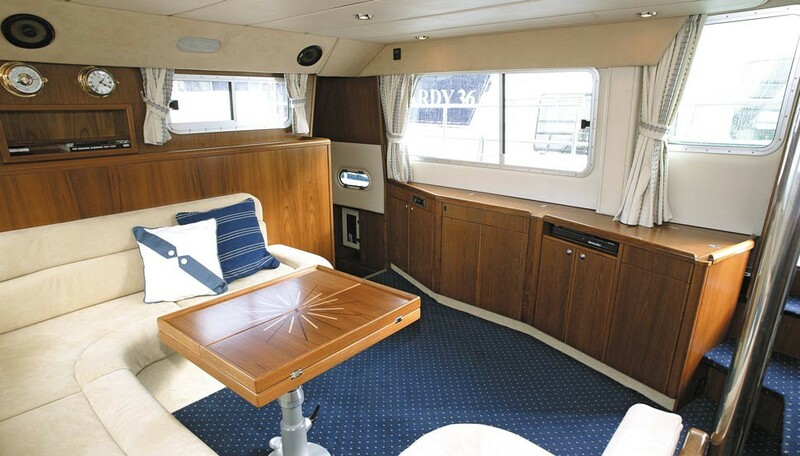 The forward accommodation comprises a well- equipped galley, head/shower and ‘V’ berth guest cabin, as well as the option of either an additional single berthed cabin or a utility area. Further customisation of the layout is possible. 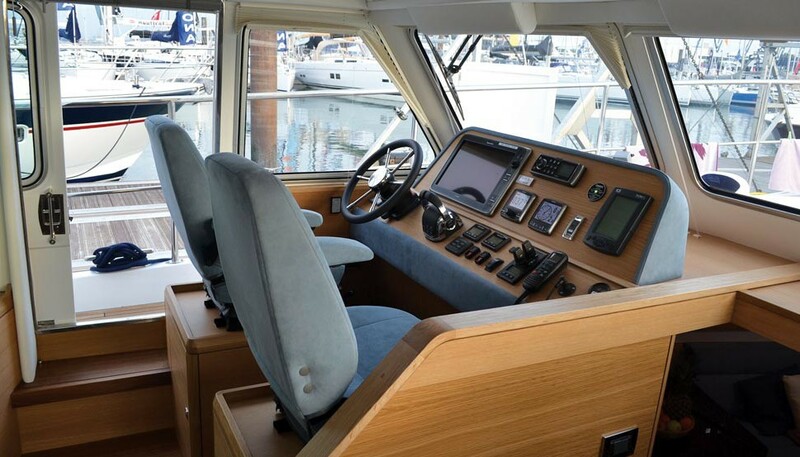 The 42 is equally suited to all-weather cruising as well as commercial use, such as the 42s owned by the RNLI and Raymarine. 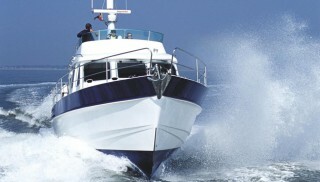 "Rugged, reliable and capable of long range cruising in comfort."